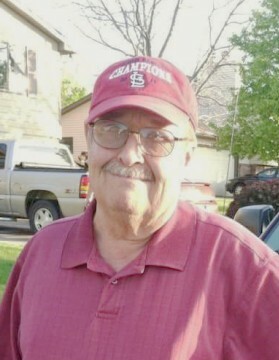 Edward Santo, 76, of Lincoln, NE, passed away January 25, 2019 at Lincoln. He was born April 28, 1942 at Falls City, NE to Charles and Bernice (Sinclair) Santo. Edward was raised at Falls City and graduated from Sacred Heart High School in 1960. He then enlisted in the U. S. Navy and following his honorable discharge in 1964, returned to Falls City and farmed with the Santo Brothers on the family land and raised livestock. When married, the couple established their home in Falls City and he worked at Woodings Verona and also continued to farm. They moved to Lincoln in 1997 where he owned and operated Five-Star Carpet Care, retiring in April of 2004 due to his health. He enjoyed hunting mushrooms, time at the cabin, cooking, the St. Louis Cardinals and making chocolate chip cookies for the grandkids as well as bowling and golfing. He was a member of North American Martyrs Catholic Church at Lincoln and a lifetime member of Falls City Elks Lodge #963. A Mass of Christian Burial will be held on Thursday, January 31, 2019 at 10:30 AM at Sts. Peter and Paul Catholic Church with Father Cole Kennett as the presiding priest. Interment will be in Falls City Catholic Cemetery. Military graveside honors by Falls City Ceremonial Honor Guard.